These three power statements can guarantee success in your life and business as well! Here are the three power words behind the Live It Forward Movement that I hope will positively and powerfully shape each of our lives and the work we do. SHOW UP. There are two ways to show up. The first is passive. It’s blowing in and blowing out. You just make an appearance. You arrive and do as little as possible. There is no power in this passive approach. The second way, however, is both positive and powerful. Instead of blowing in and blowing out, you stick. You’re available. Your appearance communicates dependability and trustworthiness. FULL ENGAGEMENT. This power statement builds on the positive version of showing up. Full engagement means you are eager to jump into life. Your entire self — physical, mental, emotional, and spiritual is alive and active. 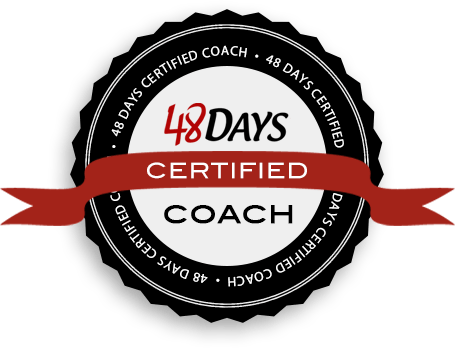 You consistently invest 100 percent of yourself in personal development, deep relationships, and meaningful work. SHINE. 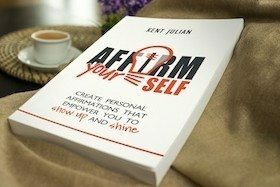 Because you “show up” prepared for “full engagement,” you “shine.” Of the three power words, this is the most powerful because it’s the natural result of the first two. You don’t have to try to shine, you just do. It’s who you are at the core of your being and it spills out of you in whatever you do. 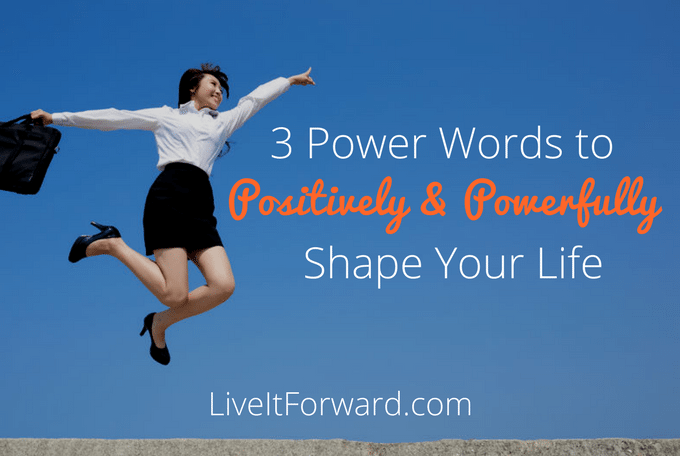 There they are…three power words that are positively and powerfully shaping my life and the Live It Forward brand. Question: How do these power words make you feel? How do they connect with you?